The language surrounding climate change is sometimes militant. We need to fight climate change. It can be considered as a global threat. It drives species to extinction. We can ask ourselves: do we need a war effort on decarbonization? Suppose for a moment that we do. The question then becomes how it could be done, technically? Let’s leave aside for a while the behavioral, economic, environmental, ethical, philosophical, political and social considerations. Do we have what it takes to build a carbon-free Europe? At first glance, the answer is a resounding yes. We have plenty of technical solutions. However, time is running out and carbon budgets are becoming very limited. We’re 21 years after Kyoto, and have 15-20 years left at current emission rates. 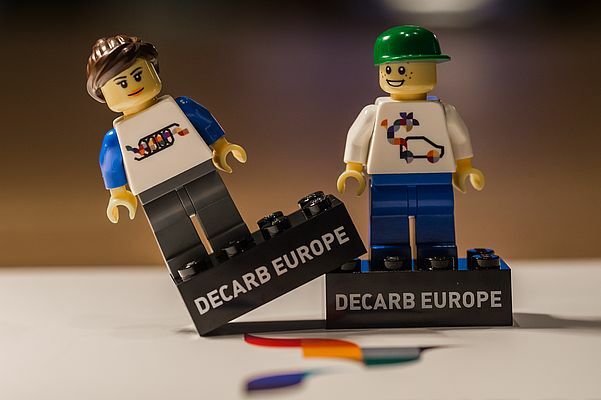 EU leaders committed to 80-95% decarbonization by 2050, compared to 1990 levels. The current EU climate roadmap aims for 80%. A target of 95% is not ‘15% more’, it is four times less. In addition to the need for speed, we have the daunting scale of the challenge. For starters, we need to decarbonize homes and buildings, for which there are plenty of solutions, but we can no longer use natural renovation rates. Industry poses its own challenges because of its sheer volume of energy use and the process chemicals it needs. Regarding energy supply, the European electricity sector has committed to decarbonization well before 2050. In parallel to electrification, we have hydrogen, green gas and bioenergy, for which we need to keep an eye on land-use and energy efficiency. However, defeatism is not an option. Citizens, cities, business, industry, regional and national governments and international organizations need to work together on multi-level governance. We need a bit of top-down nudging and a lot of bottom-up implementation. Intermediate actors, such as business, industry and cities are pivotal to make the bridge between political ambitions and citizen interests.